A reproduction of a classic Toho sofubi, the Godzilla Vinyl Wars line presents Hedorah! 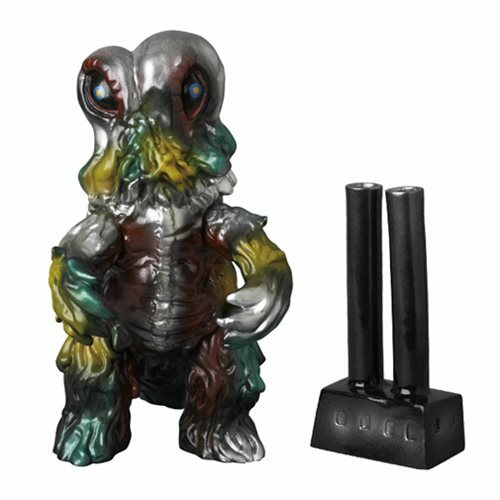 The Godzilla Vinyl Wars Hedorah Landed Version Sofubi Vinyl Figure will hold a place of high honor in your collection. Perfect for any Godzilla fan! Measures 8-inches tall. Ages 15 and up.